Showing 1 - 20 of 378 results. An interview with Chris Whitty, Site Manager at the Christchurch Arts Centre, about the recovery of the Townsend Telescope from the rubble of the Observatory tower. The interview was conducted by Sebastian Wilberforce. A photograph of some of the parts of the Townsend Telescope. Many of the parts were damaged during the 22 February 2011 earthquake. 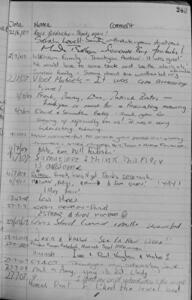 A scan of page 120 of the Townsend Telescope Visitors' Book. 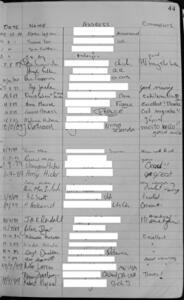 A scan of page 271 of the Townsend Telescope Visitors' Book. 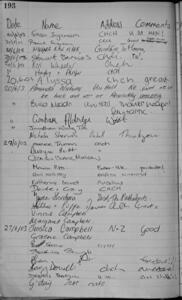 A scan of page 274 of the Townsend Telescope Visitors' Book. A photograph of the largest section of the Townsend Telescope recovered from the rubble of the Observatory tower. The telescope was housed in the tower at the Christchurch Arts Centre. It was severely damaged when the tower collapsed during the 22 February 2011 earthquake. 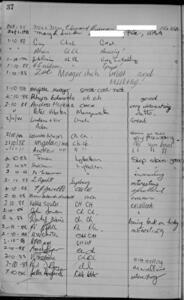 A scan of page 44 of the Townsend Telescope Visitors' Book. 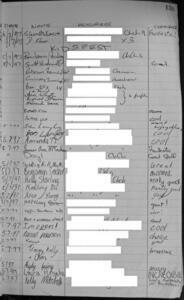 A scan of page 89 of the Townsend Telescope Visitors' Book. A photograph of the lower end of the main tube of the Townsend Telescope. The tube was crushed and bent during the 22 February 2011 earthquake. 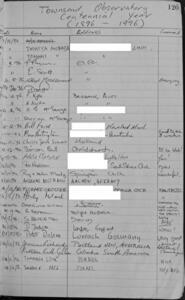 A scan of page 184 of the Townsend Telescope Visitors' Book. 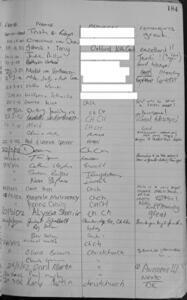 A scan of page 224 of the Townsend Telescope Visitors' Book. 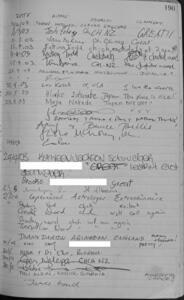 A scan of page 240 of the Townsend Telescope Visitors' Book. 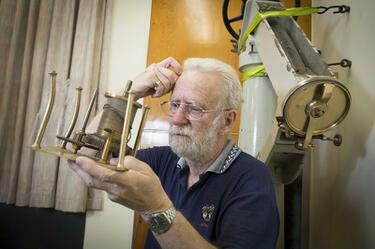 A photograph of Graeme Kershaw, Technician at the University of Canterbury Department of Physics and Astronomy, scratching his head as he looks at the damaged clock drive of the Townsend Telescope. The telescope was damaged during the 22 February 2011 earthquake, when the Observatory tower at the Christchurch Arts Centre collapsed. 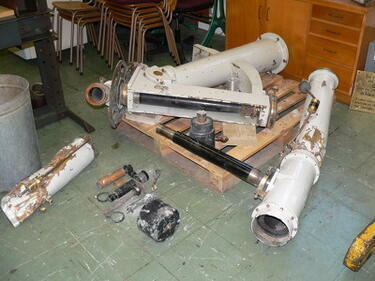 Kershaw has been given the task of restoring the telescope. 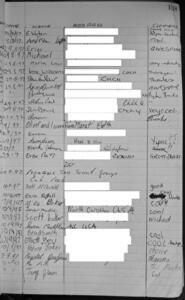 A scan of page 138 of the Townsend Telescope Visitors' Book. 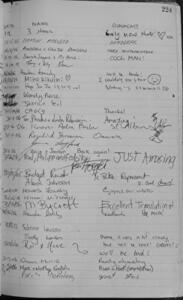 A scan of page 190 of the Townsend Telescope Visitors' Book. 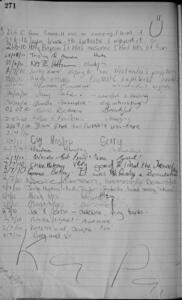 A scan of page 193 of the Townsend Telescope Visitors' Book. 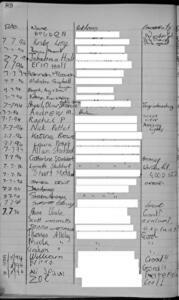 A scan of page 198 of the Townsend Telescope Visitors' Book. 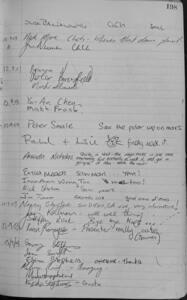 A scan of page 130 of the Townsend Telescope Visitors' Book. A photograph of Graeme Kershaw, Technician at the University of Canterbury Department of Physics and Astronomy, sitting among the damaged parts of the Townsend Telescope. 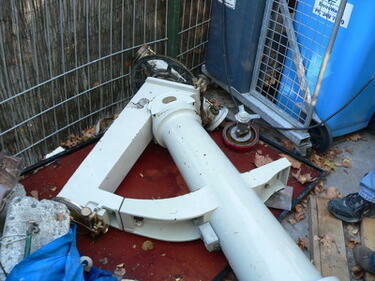 The telescope was damaged during the 22 February 2011 earthquake, when the Observatory tower at the Christchurch Arts Centre collapsed. 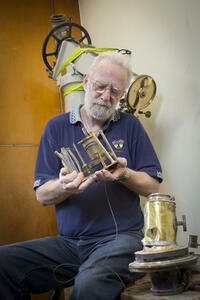 Kershaw has been given the task of restoring the telescope. 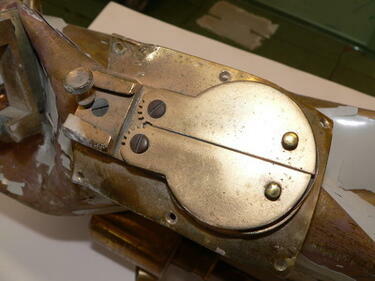 In this photograph he is holding the telescope's clock drive. 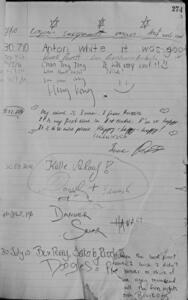 A scan of page 37 of the Townsend Telescope Visitors' Book.